Yorkshire Terrier Puppies offered to approved homes, see our nursery. 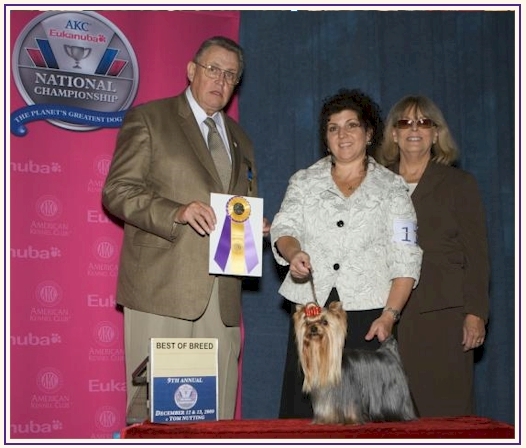 BISS AM/CAN GCH Durrer's Talk About Bossy "Talker"
Finished 2009 as the #3 Yorkshire Terrier in America. Coats: Ultra long, fine, and silky. Requires regular baths and brushing or grooming appointments. 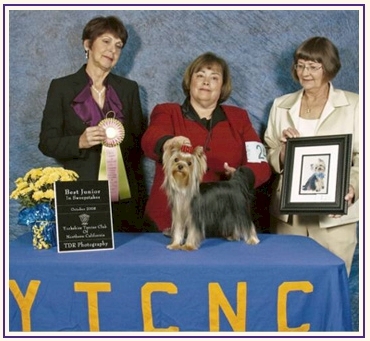 Colors: Yorkies are born black and tan, then develop the characteristic steel blue coloring on the body and tail and on some parts of the face, with tan everywhere else. Yorkie History: The Yorkshire Terrier, developed about 150 years ago, is so named because he hails from Yorkshire in northern England. This area was notorious for its hardworking coal miners, who needed tough dogs to go into the mines and kill rats. Originally much bigger dogs, their reputation as good-looking working dogs spread, and they were eventually bred smaller and smaller for England’s wealthy families. It didn’t take long for the Yorkie to become popular all over England, and subsequently, in the eastern United States. Yorkies have occupied everything from the mineshafts of Northern England to the trenches of WWII to the US White House, including the Nixons’ Yorkie, Pasha. 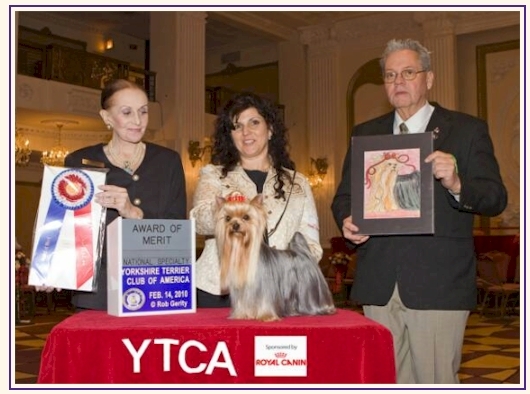 The Yorkshire Terrier is the most popular toy breed registered by the American Kennel Club (AKC). Personality: The Yorkshire Terrier is a charming dog. Although small in size, his heart and personality are large, and he is mischievous and lovable all in one. An energetic and exuberant companion, the Yorkie is a true terrier—feisty and fearless, ready to take on the world. He is brave and loyal, and he will let his family know about any perceived danger—and be willing to defend his territory. Because he has a propensity to get himself in trouble, the Yorkie needs to know who’s in charge. At Home: Yorkies make great apartment dogs because they can meet their exercise needs in a small space. But they’ll be just as happy to rule over a larger space. Yorkies are “verbally gifted,” so if you love peace and quiet, this breed might not be for you. They tend to bark for a reason, though, which makes them excellent pint-sized watchdogs. Yorkies love to accompany their owners everywhere, so it’s important that they learn and mind their manners. Feeding: Yorkies can be picky, and it can be challenging to satisfy them, even with a high-quality food that’s age appropriate. Because they tend to have problems with their teeth, feeding a hard kibble is best because it helps reduce plaque while exercising the jaws. If a Yorkie’s not keen on kibble, his dry food can be supplemented with very small additions of things that are good for him, like steamed brown rice or lean meats that have been thoroughly cooked. Exercise: The Yorkshire Terrier gets his exercise by going everywhere with his owners—following them around the house and yard, going for strolls around the block or neighborhood, or fun with the family. Regular romps and excursions will keep him fit. Grooming :If you want to keep your Yorkie’s coat long, you’ll need to brush and comb him every day to prevent tangles. Often, pet owners prefer to keep their Yorkies’ coats clipped, which makes grooming them much easier—although even with a short coat, they still need regular grooming. Yorkies do not shed, which is a bonus for many owners. They tend to have problems with their teeth, so it’s important to keep them clean. 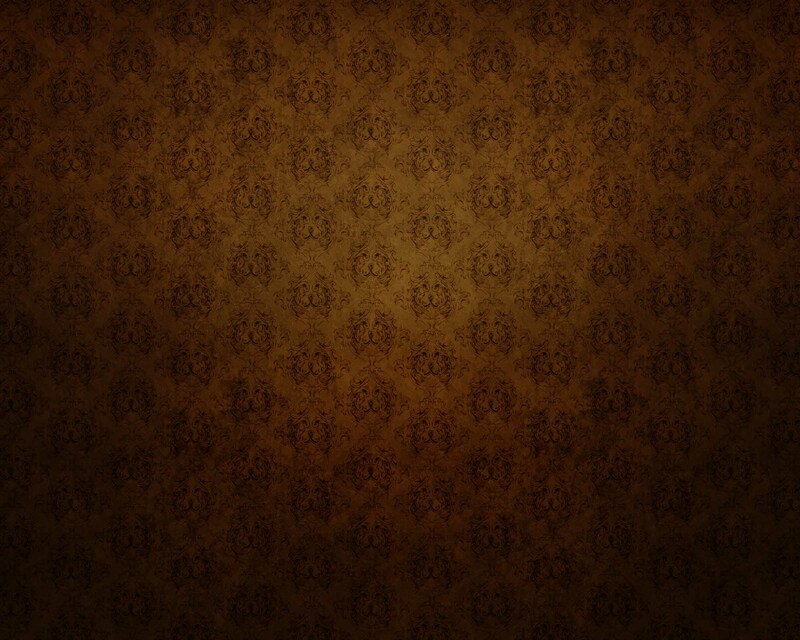 Training: The ever-attentive Yorkie will gladly perform for rewards and positive feedback, although he can be stubborn. Lessons need to be kept simple and short and repeated often with sufficient rewards before they really sink in. He can be difficult to housetrain; perseverance and patience are key to success. Compatibility: Proper socialization is critical so that the Yorkie doesn’t feel that he is in charge of everyone. He needs to meet all kinds of people, gentle children, and other dogs and be encouraged to get along with them. He is a terrier at heart, and his prey drive may get the best of him when it comes to smaller pets in the house. The average life span of the Yorkshire Terrier is 12 to 15 years.